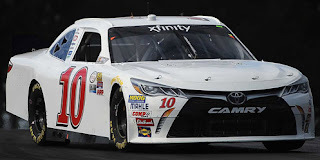 Mike Bliss picked up the 4th last-place finish of his NASCAR XFINITY Series career in Saturday’s VisitMyrtleBeach.com 300 at the Kentucky Speedway when his unsponsored #10 TriStar Motorsports Toyota fell out with rear gear issues after 2 of 200 laps. The finish, which came in Bliss’ 359th series start, was his first of the year and his first in an XFINITY Series race since August 8, 2009, during the Zippo 200 at the Glen, 242 races ago. Coming into The Glen in 2009, Bliss sat 6th in series points with a win at Charlotte, all coming with James Finch’s Phoenix Racing. Unfortunately, Bliss would not drive Finch’s #1 Miccosukee Resort & Gaming Chevrolet on the road course, and was replaced by Cup veteran Ryan Newman. Suddenly without a ride, Bliss slid into the #90 MSRP Motorsports Chevrolet. Road course ringer Chris Cook qualified the #90, but then replaced Ken Butler in the #23 Aaron’s Dream Machine Chevrolet for R3 Motorsports, leaving the ride open for Bliss. As was typical for MSRP, the team was on “start-and-park” duty, and Bliss pulled the car in after 4 laps. Newman finished 35th. Curiously, MSRP teammate Dave Blaney earned a surprising 13th-place finish at The Glen when his own “start-and-park” entry acquired sponsorship from SFP, which came from the William Spencer-owned #77 that Peyton Sellers was unable to get into the field. Blaney’s run marked the only time an MSRP car finished a race in 2009, a year capped with Johnny Chapman, another MSRP driver, claiming the LASTCAR title on the heels of eight last-place finishes. Bliss made just one more XFINITY start with James Finch, a 16th-place run in the Homestead finale, then in 2010 moved to Key Motorsports. Bliss and car owner Curtis Key began working together on a Truck Series effort the previous year, during which time the driver came home 8th at Atlanta. But when Key began to re-organize into a “start-and-park” operation with eyes on their Cup debut (as “The Motorsports Group,” Josh Wise’s #30 Chevrolet entry), Bliss moved again to TriStar Motorsports in 2011. From then until the first part of 2015, Bliss earned a handful of strong runs despite a lack of sponsorship, switching between each of TriStar’s growing number of teams. He came home 8th in the 2012 standings, his best showing since 2009. But in the late spring of 2015, the #19 that Bliss drove for most of those starts soon became Jeff Green’s new “start-and-park” entry, leaving Bliss without a ride until season’s end, when he parked the #14. During this same seven-year span, Bliss ran a partial Sprint Cup schedule with ten different teams, including both Phoenix Racing and TriStar Motorsports (as part of Humphrey-Smith Racing in 2012-2013). During one partial stint for Tommy Baldwin Racing in 2014, Bliss claimed the LASTCAR Cup Series title with five finishes to teammate Dave Blaney’s three. His 179th and most recent Cup start came last fall at Darlington, when he drove a Harry Gant throwback scheme to a 32nd-place finish in the Bojangles’ Southern 500. 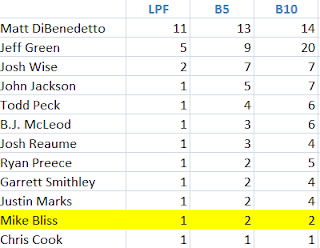 Bliss has yet to make any Cup starts this season, and has instead split time between the XFINITY and Truck Series. He’s made three starts in Trucks with a season-best 17th at Kansas driving for Contreras Motorsports. Kentucky would be his third start of the year in XFINITY, where his previous best was a 26th at Mid-Ohio driving in relief of another road ringer, Tomy Drissi. 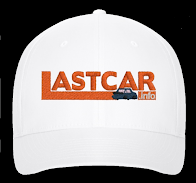 This time, as in his other start this year at Iowa, Bliss would again be on “start-and-park” duty, replacing 2016 LASTCAR XFINITY Series leader Matt DiBenedetto, who was running Cup in Loudon for BK Racing. 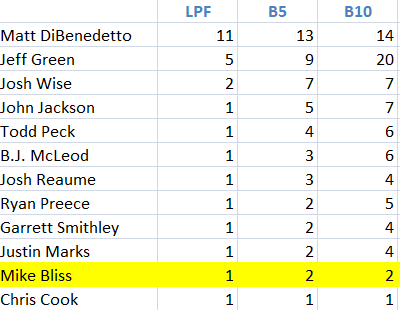 Bliss was one of 39 entrants on Kentucky’s preliminary list, which once again did not include Obaika Racing’s two entries. Obaika’s #77 and #97, driven by Matt Waltz and Ryan Ellis respectively, were finally added on Wednesday, bringing the list to 41 bidders at the 40-car field. 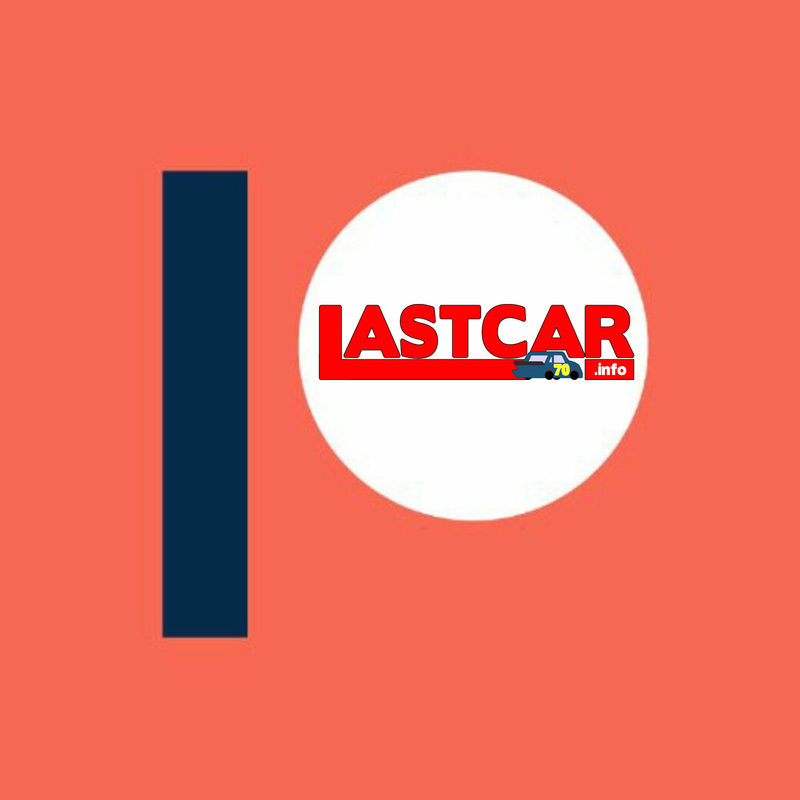 In practice, Bliss did not drive the #10 until Friday’s final practice session, when he put up the 24th-best time after only four laps. He then settled for 26th in qualifying, his single lap of 176.783mph more than enough to bump from the field Timmy Hill and his #72 Taiga Coolers / O.C.R. Gaz Bar Dodge (the third Motorsports Business Management car). By race day, Hill had replaced Mark Thompson in MBM’s #13 Phoenix Air Toyota. Hill’s substitution sent him to the back of the field for Saturday night’s race, where he joined last-place starter Todd Peck. Peck was switched into the #25 Advanced Communications Group Ford in place of Chris Cockrum. Cockrum looked to make his first XFINITY start since Loudon, and managed to outpace Hill for the final spot, but wrecked Jeff Spraker’s Chevrolet in practice. Without a backup, B.J. McLeod fielded his second Ford in Cockrum’s place, installing his own second-in-command, Todd Peck, behind the wheel. All this shuffling still gave way to the same result, as Bliss pulled the TriStar #10 behind the wall after two green-flag laps. Finishing 39th was the third MBM entry of John Jackson, his #40 CrashClaimsR.us Chevrolet out with transmission issues. 38th went to Morgan Shepherd and his #89 Racing With Jesus Chevrolet. Although Shepherd has failed to qualify for four races, withdrawn from three others, and finished no better than 34th in the others, he has not finished last a single time in 2016. 37th went to ARCA driver Josh Williams, whose run in King Autosport’s second BuckedUp Apparel Chevrolet ended after 57 laps. Rounding out the group was Matt Waltz, whose Obaika-owned #77 surprised the pit crew with a sudden fire beneath the hood. Crews extinguished the flames quickly, but Waltz’s fourth series start ended early. 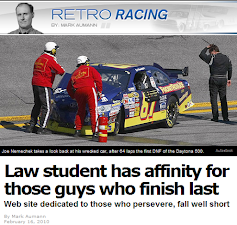 Though he did not start the race, Matt DiBenedetto is now even closer to clinching his first-ever LASTCAR title. 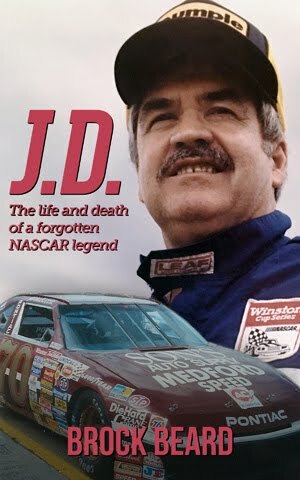 With six races to go, the only way runner-up Jeff Green can beat DiBenedetto is if he finishes 40th in all of them. One more finish by DiBenedetto - or anyone else other than Green - will lock up the title. *This marked TriStar Motorsports’ eighth last-place finish in the previous nine XFINITY Series races at Kentucky. *This was Bliss’ first XFINITY Series last-place run at Kentucky.